The adventure begins tonight. Feel free to explore before your welcome meeting, but make sure you’re back in time to meet the group. After introductions, your will review the details of your tour. Please note that normal check-in times apply at our start hotels, but you can usually store your luggage for the day if you arrive early. Drive to Akureyri, stopping for lunch at a local cantina. 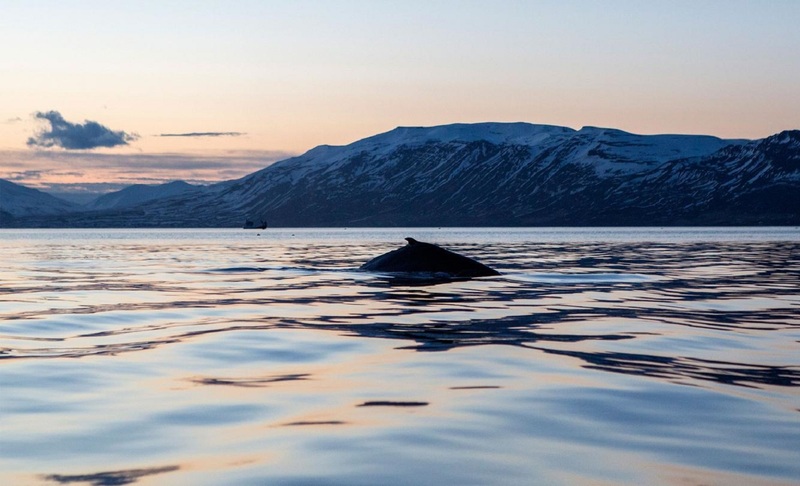 Explore the town and opt to go on a whale-watching tour in the evening. Head to Mývatn Lake, stopping en route at Goðafoss Waterfall. 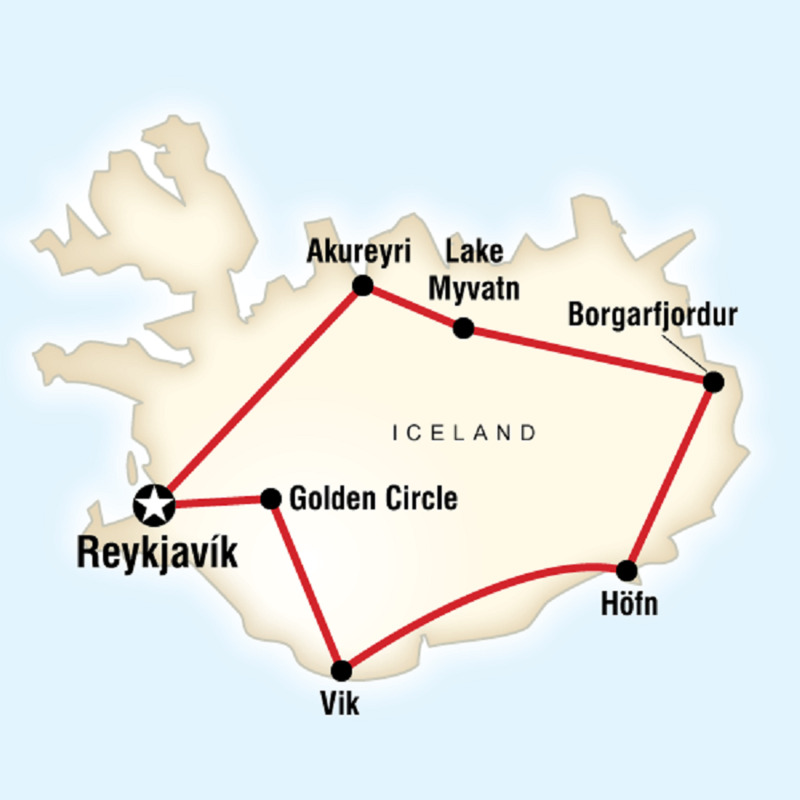 In Mývatn, explore lava formations of Dimmuborgir and the geothermal area of Námaskarð. 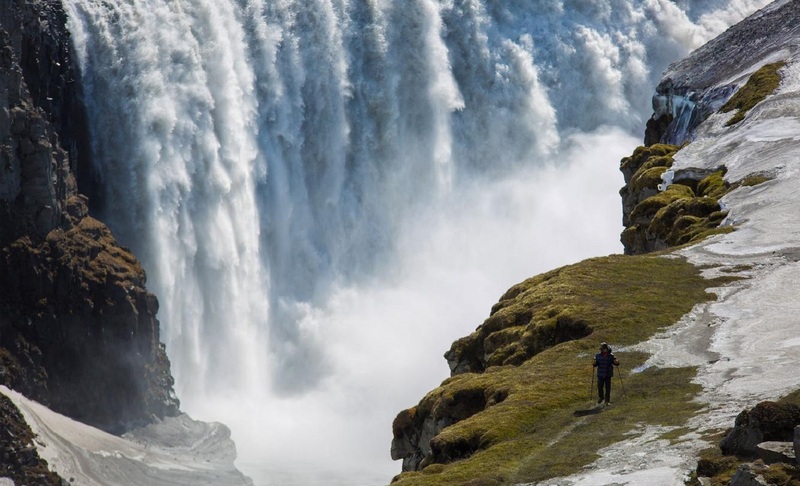 Visit Dettifoss Waterfall, one of the most powerful waterfalls in Europe. 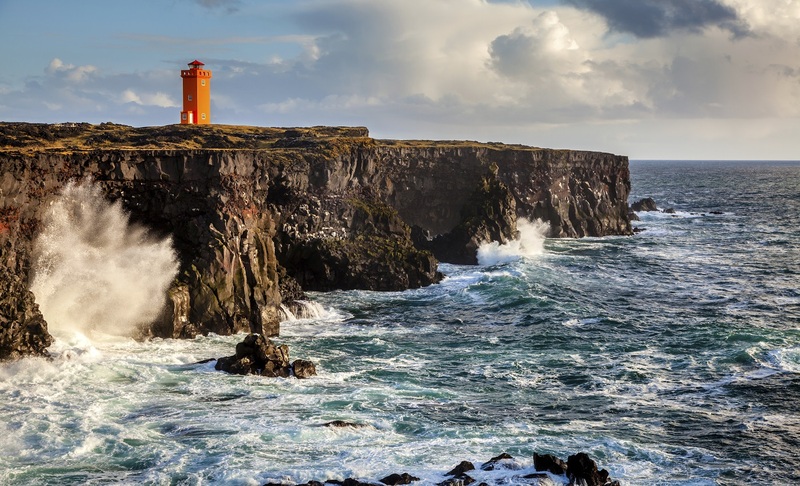 Leave beautiful Borgarfjörður behind and travel down the coast driving through the beautiful and majestic eastern fjords. 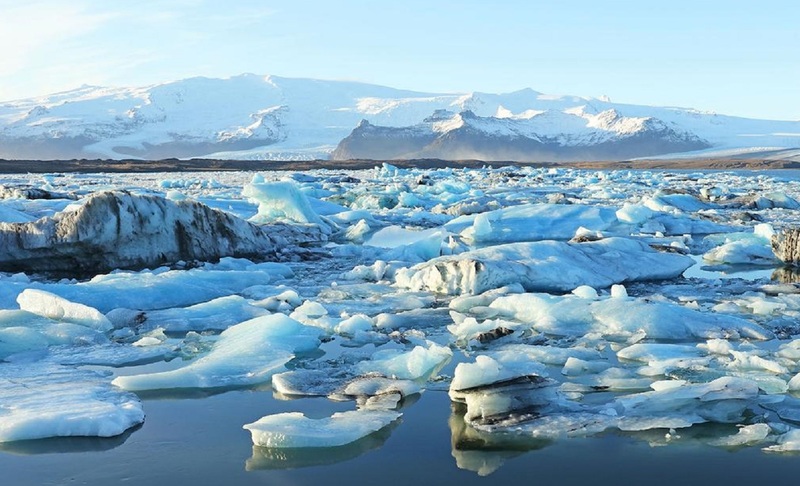 En route to Hofn, catch a glimpse of Vatnajokull glacier, the largest ice cap in Europe. 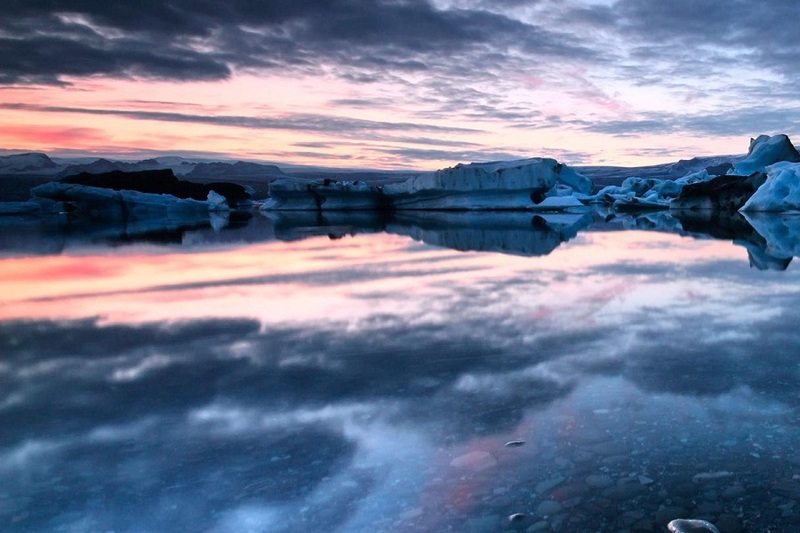 Visit the Jökulsárlón Glacier Lagoon, with a chance to see seals sun bathing on the bright blue ice. Opt to check out the lagoon by boat. Continue to Skaftafell National Park and opt to take a glacier hike. Continue to Vík. 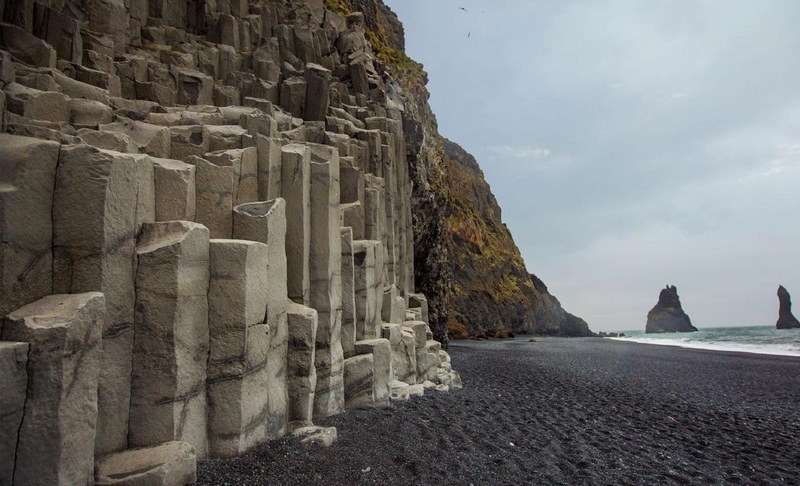 Visit Reynisfjara Beach. Continue along the Golden Circle to Drumbo. Stop at the waterfalls of Seljalandsfoss and Skógafoss. 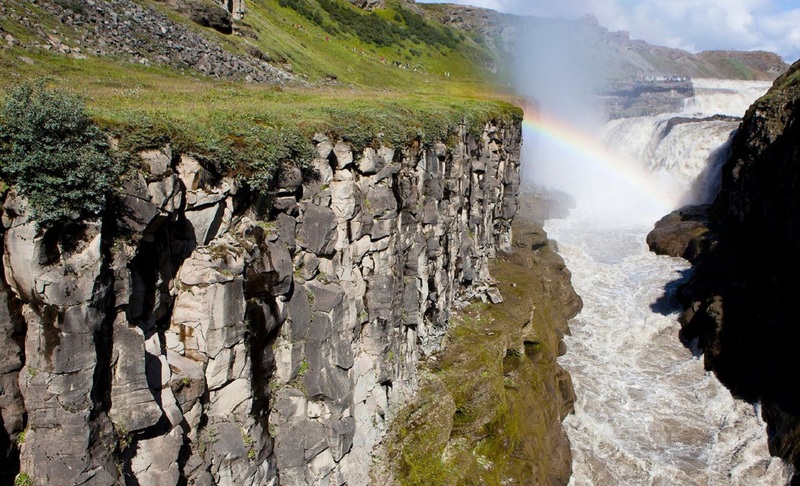 Explore the Gullfoss Waterfall, Geysir Hot Springs and Þingvellir National Park. 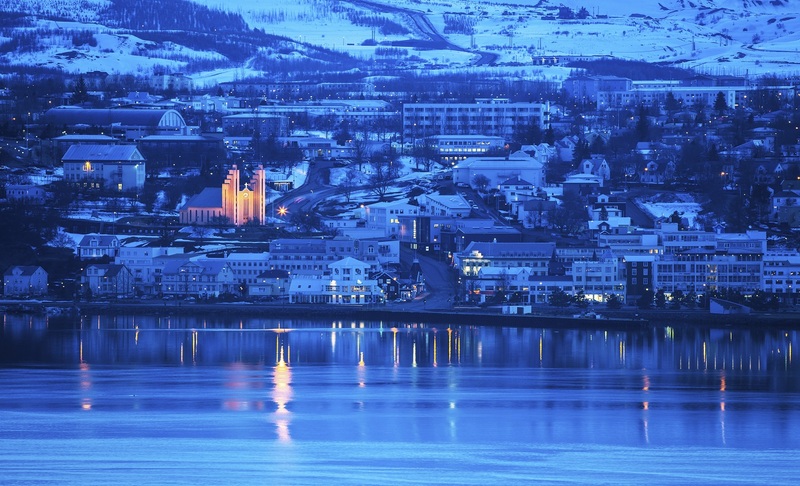 Arrive to Reykjavík in the early evening. This tour is operating with a maximum number of 16 passengers. The minimum age is 12 years, if accompanied by an adult. Hotels are subject to change to due availability.